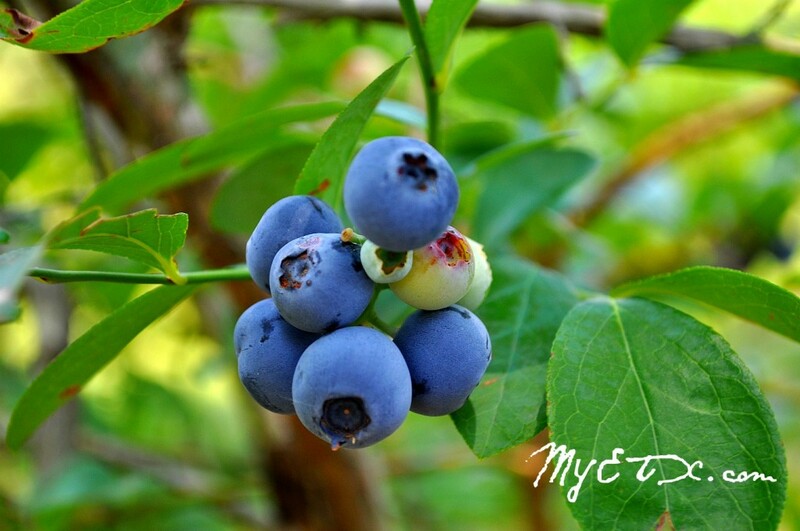 The Texas Blueberry Festival was founded in 1990 by the Nacogdoches County Chamber of Commerce to celebrate the blueberry industry in the county. The festival is held annually on the second weekend of June in historic downtown Nacogdoches. Prime growing conditions make Nacogdoches County one of the largest blueberry producers in Texas. Peak harvest times are June and July. Many festival events and activities are FREE of charge. Admission and parking are free, and thanks to Keep Nacogdoches Beautiful, the festival is a litter free event. Proceeds from the Texas Blueberry Festival benefit the Nacogdoches County Chamber of Commerce’s various community and business development programs. Nacogdoches is located approximately 150 miles north of Houston via U.S. Hwy. 59. Blueberry Pancake Breakfast: 8 a.m. until they are gone! Better hurry! Fresh Blueberries for Sale: 8 a.m. to 3 p.m. or until unavailable. Downtown at the east end of the festival on Main Street. Near the Main Street stage. $2.50/pint and $25.00/flat (12 pints) at the festival. If purchasing a flat (12 pints) or more, you may pick up a ticket that can be redeemed for blueberries later that day. Look for a separate line for pick up. Blueberry Farm Pick and Peek: Free shuttles to the Blueberry Place every ten minutes from 8 a.m. to 2 p.m. Get a free ticket to reserve your shuttle time at the tent on Church St. a block north of Main St. $1.50 a pound, pick your own berries fresh from the bush. The ride is free! Blueberry cobbler with ice cream, blueberry lemonade, coke floats and other special treats. CMA Motorcycle Show: 9 a.m. – 2:30 p.m. Motorcycles at Mound and Main. No entrance fee, but donations for Run for the Son are accepted – click here for more information about the mission project. Sponsored by the Christian Motorcyclists Association – Pineywoods Peacemakers chapter. Deja Blue Classic Car Show: 8 a.m. -1 p.m. Regions Bank parking lot. Get your American Graffiti fix with street rods, pre and post-WWII cars and trucks. Twenty-three classes of trophies will be awarded to the participating car owners at 1 p.m. Awards for Best in Show and Best Paint also presented. Dozens of antique and classic cars are expected. Get up-close looks and make keepsake photos of the vehicles that sparked the imagination of generations of Americans! Registration form Sponsors: Deep East Texas Antique Automobile Club of America. 9:30 a.m. be at Mound & Main St. at Wrap It Up for registration. Parade begins around 10 a.m. NEW!!! CASA Blueberry Cupcake Battle – calling all bakers for this Berry Exciting Showdown! Three competition categories: ages 8 to 12 (prize: bike from Target); ages 13 to 18 (prize: $100 Walmart gift card); and adult (prize: $100 Fuzzy’s Taco Shop gift card). Entry fee is $5. Entries must consist of 12 cupcakes in a “Blueberry Theme” delivered to CASA of Deep East Texas, 115 E. Main St., by 10:30 a.m. for judging. Scoring is based on theme, taste and presentation. Judging takes place at 11 a.m. and prizes will be awarded following the decision. Click here for entry form! The pageant will be held on Saturday, June 1 at SFA. Winners will be presented at the Texas Blueberry Festival on June 8. Running of the Blueberries 5K Run/Walk benefiting Dog Park Nacogdoches. 7:30 a.m. at the Coy Simms Softball Fields, 801-Martin Luther King Jr. Blvd. Click for registration form and event information. Sponsor: Healthy Nacogdoches Coalition. Sign up early at Nacogdoches Recreation Center, 1112 North St. Registration dates are May 9 – June 7. Sponsor: City of Nacogdoches Parks and Recreation Dept. Blueberry Pie Contest: Click here or check with your local Brookshire Brothers store for registration form. Downtown Square, 200 E. Main St. in front of Visitors Center. No later than 10 a.m.: turn in entry, with form available at Brookshire Brothers. (See the Brookshire Brothers’ special rules). Winners announced at 12:30 p.m. Prizes: Gift cards for $150, $300 and $500. Blue Pies Smiling at Me Pie Eating Contest: register at the event on Pilar St. in front of City Hall. Noon – 2:30 p.m. 12-and-younger and Adult contests will run throughout the afternoon. CASA Kids Cupcake Decorating – 8 a.m. to 3 p.m. at CASA of Deep East Texas, 115 E. Main St. Create and enjoy your own blueberry-sweet treat at a cupcake decorating booth! $1/cupcake – cupcakes, icing and blueberry-theme decorations provided. Look for the Blueberry Lemonade Stand too! Kroger Craft Corner – FREE activities for children. Art and craft projects for children that will vary through the day. Sponsored by Kroger. Kids Get Wet Water and Bounce Park – Giant inflatables for giggles and spills. Inflatables with water feature! (Individual tickets $2, arm-bands $10). Sponsored by Citizens 1st Bank, Party’N Things, Huntington State Bank. Too Blue Petting Zoo – A petting zoo with horses, ponies, goats, mini horses, llamas, dogs and baby ducks and chicks. Pony rides available for a nominal fee. Nacogdoches Animal Shelter will bring adoptable animals. Sponsored by Nacogdoches County Exposition Center. Big Blue Murals – We’re looking for artists short and tall to complete our murals! Come to the grassy banks of Banita Creek in Festival Plaza. Cool Zone and Teddy Bear check up – Water misters and cool fans! Sponsored by Nacogdoches Medical Center. Bring your special stuffed animal friends for the Teddy Bear Check Up Station! All acts and times are subject to change. These are held on the stages on the brick streets and in Festival Plaza. A wide range of free entertainment from classic rock to acoustic folk guitar to Texas country, across three stages in downtown Nacogdoches. 1:30 to 3 p.m. Oldies Concert at 330 E. Main St. (GODTEL) in the lobby of the historic Redland Hotel (built 1906-07) and which later housed the Marx Brothers as they began their career and where a presidential hopeful, William Jennings Bryan, made a speech from the balcony). Music includes songs made famous by Frank Sinatra, Elvis Presley, and, of course, Fats Domino’s Blueberry Hill. Though the melodies will be familiar, some of the words have been changed to reflect a Christian outlook. We call them “Redeemed Oldies.” You are welcomed to come sit, rest, and listen — or join in the singing. NEW!!! Bob Murphey Story Reading Room: Enjoy the humorous tales of Bob Murphey read every half-hour from 10 a.m. to 2 p.m. in the comfy cool Regions Bank Community Room – enter from Pilar St. Discussion and Q&A sessions throughout the event and coloring and craft activities for children, too! Cookin’ Up the Blues: Celebrity chefs will cook up some tasty blueberry delights during cooking demonstrations happening in the CBTx lobby at 9 a.m. – Amy McLeod, consultant for Brookshire Brothers, and at 11 a.m. – Merci Nicklas, Merci’s World Cuisine. 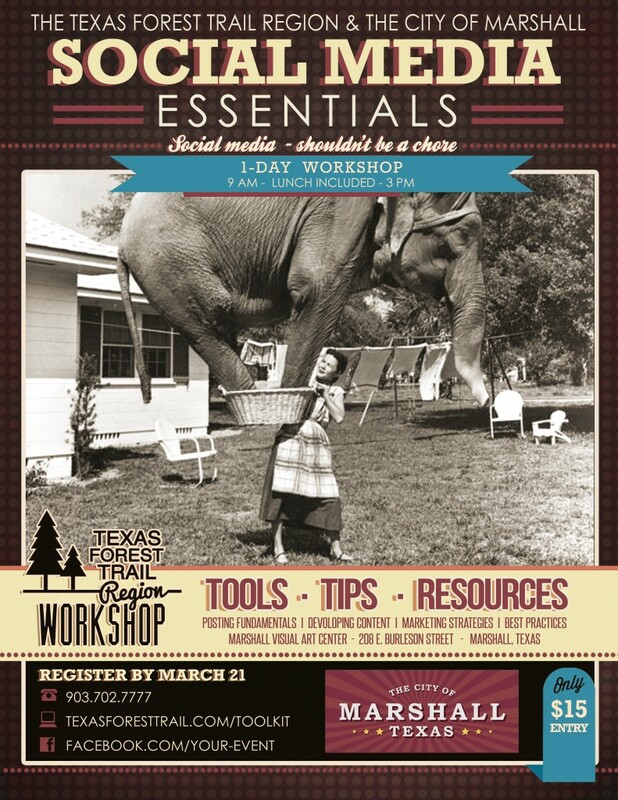 Sponsors: Texas AgriLife Extension Service and Commercial Bank of Texas. Cowboy Max: Cowboy Max cracks jokes and bullwhips in a fast-paced show that will mesmerize you all the way down to your spurs. Trick roping, silly stories, wooly chaps and good old-fashioned family values create a laugh-filled, action-packed spectacle. Kids and parents all enjoy Cowboy Max! See the shows around 10 a.m. and noon in the CBTx lobby. 8 a.m. – 3 p.m. Downtown between Main and Pilar, North Street and Mound, and Festival Plaza. 100-plus booths of scrumptious food, ice-cold drinks and unique arts and crafts. For more information about the Texas Blueberry Festival, call the Nacogdoches County Chamber, 936-560-5533 or the Nacogdoches Convention and Visitors Bureau at 1-888-OLDEST TOWN. For a complete schedule of events and other festival details including event registration forms, go to www.TexasBlueberryFestival.com. • Blueberries are the second most popular berry in the United States. • A one-cup serving of fresh blueberries gives 5 grams of fiber (more than most fruits and vegetables) at a cost of only 80 calories. • There has been a 50 percent increase in consumption of blueberries during the last 10 years. • Indians in the Northwest Territory smoked wild blueberries to preserve them for the winter. • Blueberries contain no cholesterol or fat and are also low in calories. They are also a good source of vitamin C and fiber. • Blueberries are ranked No. 1 in antioxidant activity compared with 40 other commercially available fruits and vegetables. That means a serving of blueberries has more of the antioxidant power you need to fight aging, cancer and heart disease. • Blueberry season is from May to September. Look for berries with a silvery ‘bloom’, this is a natural protective coating. They should be refrigerated as quickly as possible and kept dry. Do not wash until you are ready to use them. They will last for up to 2 weeks if stored properly. 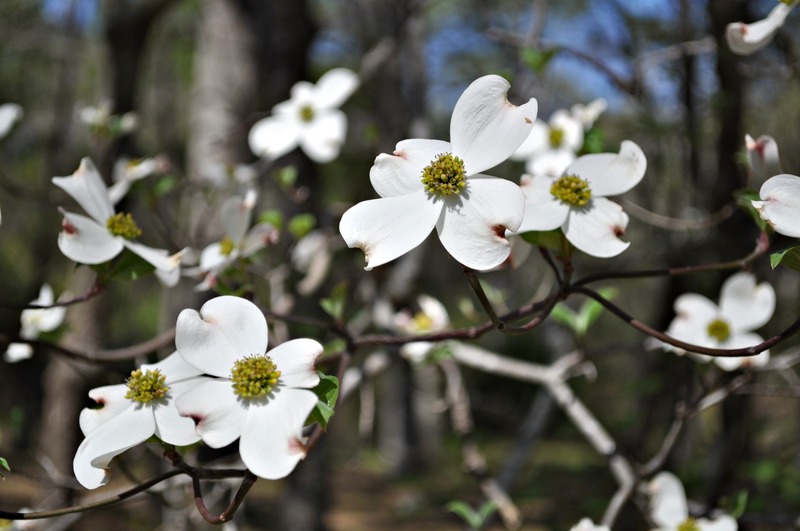 Palestine, Texas – The Dogwood Trails Festival takes place Saturday, March 21, 2015 in Historic Downtown Palestine. This year’s theme is “Dogwoods Through the Decades.” Festival highlights include live music and entertainment, a parade, beer garden, arts & crafts, Kids Zone and much more.